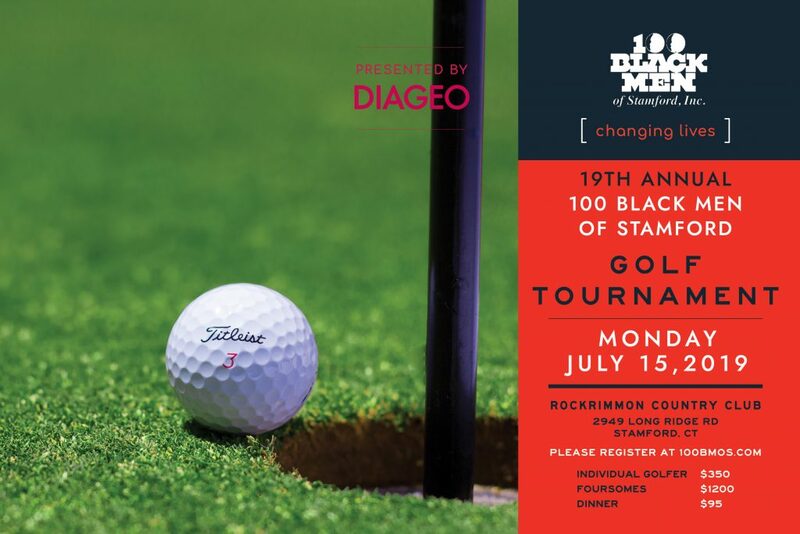 100 Black Men of Stamford, Inc. (100 BMOS), is hosting its 19th Annual Golf Classic on July 15th at the beautiful Rockrimmon Country Club, Stamford CT. You are cordially invited to attend and support this important event, which raises funds for our College Scholarship and other community programs. Our outing features a scramble golf tournament with over 100 golfers expected to participate. Attendees will also enjoy lunch, snacks, an awards dinner, open bar, players’ gifts, an auction, raffle, and other surprises. 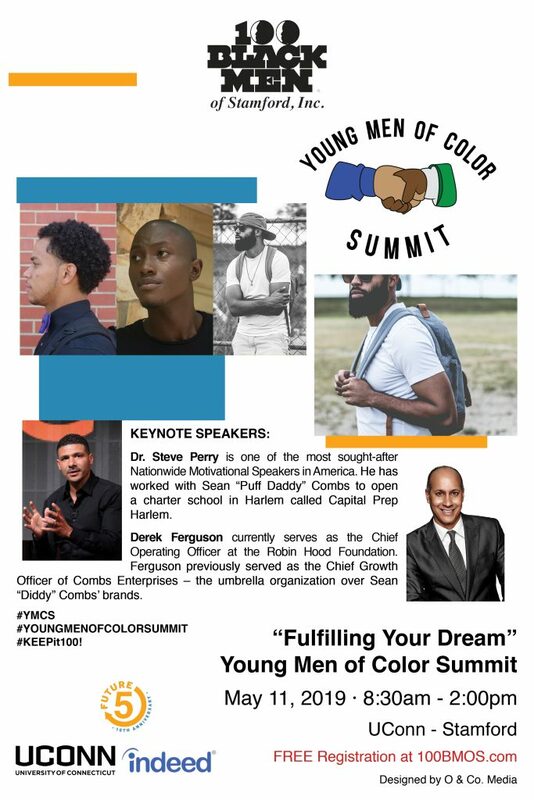 This is a fun-filled experience where local businesses, residents of Fairfield County and surrounding communities join together with the 100 Black Men of Stamford and our lead sponsor, Diageo for an increasingly meaningful cause. This year’s celebration will be a spectacular event and we welcome your continued support. Please review Sponsorship opportunities on the enclosed page to see how your organization can partner, contribute and celebrate the growth and achievement of the 100’s mission. We would be delighted if you joined us!